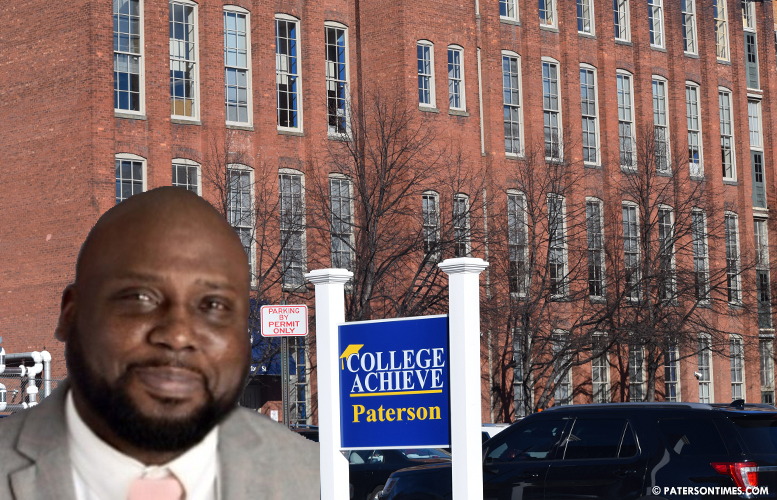 Henry McNair, controversial principal of the College Achieve Paterson Charter School, was investigated by the New Jersey Department of Children Protection and Permanency (DCPP) after touching the lip of a female student at the Newark Prep Charter School. “As I did that she turned around and my hand touched her lip. She was like, Mr. McNair, that’s nasty. I was flinging my hand, like yo, be quiet when I’m talking and I kind of hit her lip accidentally,” said McNair in a deposition hearing. One of his co-workers, Zaquina Zackery, who has sued McNair and Newark Prep for sexual harassment, provided a very different account of the incident at deposition hearing. “He took his fingers and put them in his mouth and put them intentionally on two senior girls’ lips,” said Zackery. McNair said it involved one girl. McNair did not respond to a request for comment for this story. It’s not clear when the incident took place. McNair worked as principal of the failed Newark Prep Charter School from 2015 to Jun. 30, 2017. The next day, Jul. 1, 2017, he was hired by the College Achieve Paterson Charter School. His reference list included the so-called turnaround principal Gemar Mills, executive director of the College Achieve Paterson Charter School. It’s not clear if McNair disclosed the state investigation prior to being hired at College Achieve. “We won’t be commenting further until we complete our inquiry,” said Naush Boghossian, spokeswoman for College Achieve in response to a request for comment to the network’s founder Michael Piscal, on Mar. 7. The school opened an inquiry into allegations against McNair after the Paterson Times reported he allegedly groped a woman 20 times at the Newark Prep Charter School. She filed a lawsuit against him and the school. Moreover, McNair hired teachers at Newark Prep without conducting background checks, according to a lawsuit. He was also fired from the Trenton school district for having offensive posts on his Facebook page. The incident involving the girl at Newark Prep was reported to the state by the school’s vice principal. McNair said the state conducted an investigation and issued him a warning. The New Jersey Department of Children and Families could not release information about or the outcome of the McNair investigation. “Per New Jersey statute and regulations regarding the confidentiality of child abuse and neglect investigations, we cannot confirm or deny the existence of an investigation, nor can we provide any information around investigative outcomes, except in certain cases regarding a determination of child fatality or near-fatality resulting from child maltreatment and under the provisions of the federal Comprehensive Child Abuse Prevention and Treatment Act (CCAPTA),” said Jason Butkowski, spokesman for the New Jersey Department of Children and Families, on Mar. 1. McNair remains employed as the principal of College Achieve Paterson Charter School for $123,600. Former school board member Corey Teague, a critic of charter schools, was shocked when told of the state investigation into McNair’s conduct at the Newark Prep Charter School. The school, which has almost 800 students, has been the subject of a number of controversies. For example, in summer 2018, the school hired Paterson school board member Manuel “Manny” Martinez as vice principal for $85,000 after he was accused of sexual harassment. Martinez denied the allegations mentioned in a lawsuit filed by a substitute teacher at the Community Charter School of Paterson. Community Charter School of Paterson paid the woman $90,000 to settle the case. State closed his school for poor performance. Now, he is running Paterson College Achieve Charter School. To the BOE stop sending hard working tax payer money to fund these schools , clearly there is a problem with the employment process within these school . Since tax payer money are going to these school can you let us know what you as the members of the BOE know . I would like to hear this address.